There are some things that humans do not understand. I have written many times that water is not just water, but has it flavours and tastes. Water has to be approached with thought, with considertion. Some animals see water and pounce with no real feeling. I am reminded of my canine friends, who find that water is just for drinking, no insult meant of course, it just happens to be cats first. Of course, this is the main purpose, but wine is also for drinking. You do not pounce on a glass full of wine an empty the glass in a few seconds. You take a sip, let it soak into the taste buds and absorb it with the tongue. Afterwards you swallow it, allowing the water to be absorbed . It is to be considere as a living thing. 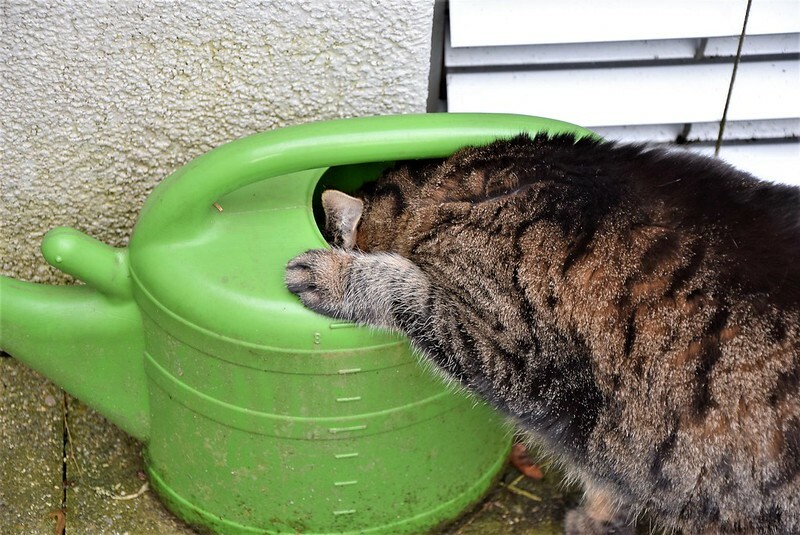 As you can see in the photo, this is how to paw your water. 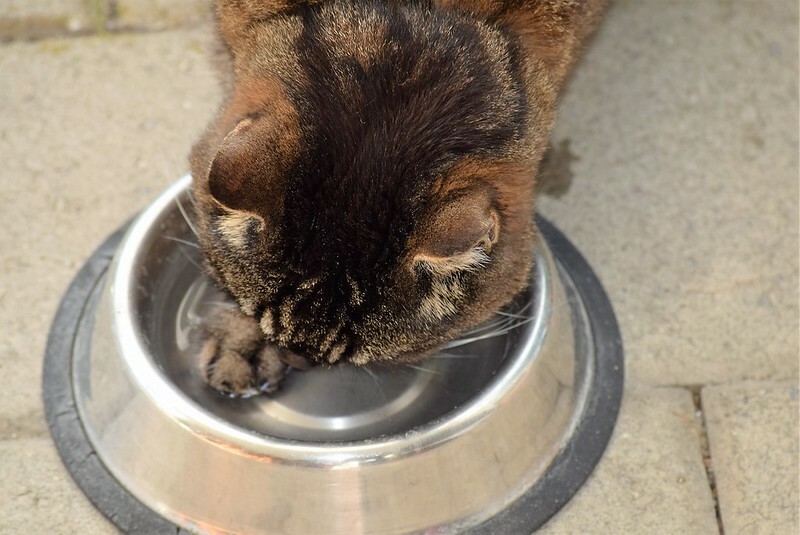 First of all dip the paw into the water to test if it has the right termperature: too cold or too warm does not allow it to be absorbed and savoured to the last tantilising drop. The paw tells you everying, but only the right front paw. This paw has been especially developed for this purpose. Of couse there are felines that might be southpaws, and use the left paw. How can a mere human judge what is acceptable to the delicate taste of a feline. I ignored her and we had a slight misunderstanding. Luckily tis exquisite source of refreshment is still there, and now and again I take a few tongue fulls as a refreshment.